Free food at your house! As a maid company, we sometimes come across some of the most filthy homes and offices. 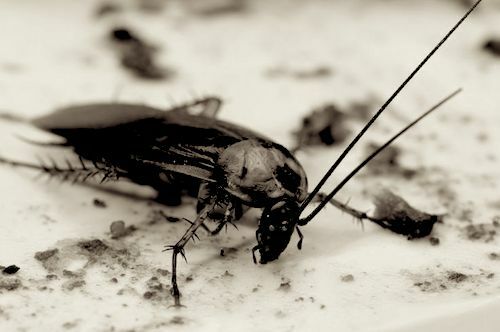 Roaches are often a factor to these places, especially out here in Santa Monica. It's important to know what roaches are attracted to, to best prevent the infestation of your home or workplace. Cockroaches are attracted to water, food, and warmth. Give them a warm home with water, and you've just opened the newest roach hotspot. The number one factor in preventing roaches from entering your home is to keep it clean. Simply put, if they don't have easy access to food and water, then they will have no interest in your home. We can keep your house clean. Cleanliness is really the most important step to pest prevention. We offer professional maid services to the West Side of Los Angeles including Santa Monica, Culver City, Studio City, Burbank, and more. Let us know if you have special cleaning requirements, and we will work with you to accommodate your needs. We service houses, offices, and more!